Maya and the Crystal Skull is the latest book from best-selling children’s author, Robyn Opie Parnell. The book follows the fortunes of fifteen year old Maya King after the death of her mother in a car accident. Maya’s father took the death of his wife hard. In his grief he travels to Mexico in search of the legendary Crystal Skulls. 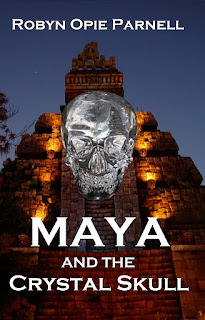 He believed that the Mayan Indians did possess these skulls before their culture vanished. This self exile of her father sees Maya stranded at home with Sophia, a housekeeper hired by him. Sophia is every child’s nightmare, bossy, grumpy and no sense of fun. Maya has her routine of chores strictly controlled by Sophia. Each of her tasks, of which there are many, must adhere to Sophia’s strict code of practice. The fact that Maya is the child of a client does not deter Sophia. Having the run of Maya’s house and no one to answer to is the perfect world for Sophia to exploit. Maya finds herself no more than a slave in her own house, to a domineering woman. One ray of light that comes into Maya’s life is Ethan. He is a spirit who has come to warn her that her father is in danger. Ethan also tells Maya that in a past life he was a Shaman priest with the Mayan Indians. Maya finds it hard to accept Ethan at first but then realizes that he is not a product of the stress she is under while living with Sophia. Maya is quite concerned about her father and contacts her Uncle Peter. She is dismayed to discover that his fear of flying prevents him from going to Mexico. So instead of Uncle Peter, Maya and Sophia take the flight from Sydney to Mexico. In Mexico she finds her father and discovers the power of the skulls. Kidnapped and in danger of losing her life, Maya finds that life is a precious gift no to be wasted. She also discovers that if you are prepared to help yourself, others will help you too. 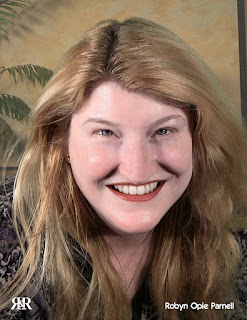 I found Robyn Opie Parnell’s book a delight to read. The portrayal of the characters was realistic, and the story flowed quite well. Young readers will find this adventure a riveting read and easily empathise with Maya. Maya’s term for Sophia, witch-dragon, is an apt description of the lady. At times I felt like tearing Sophia from the pages and punishing her severely. 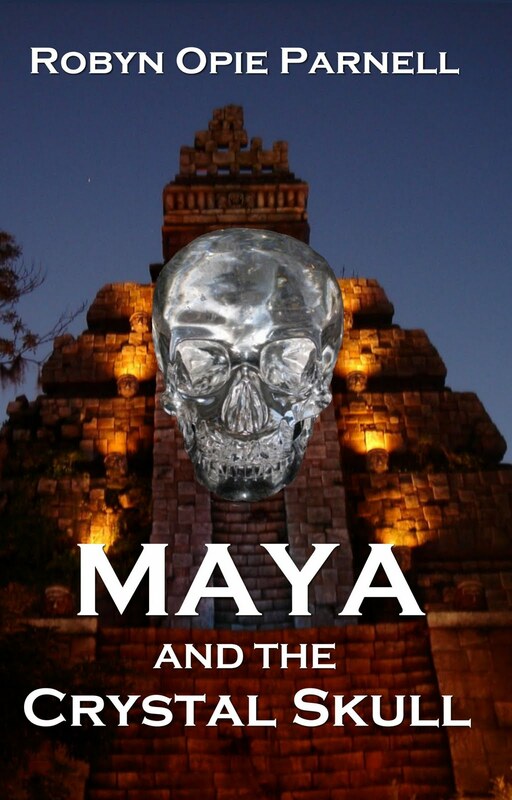 Maya and the Crystal Skull is a book I highly recommend all children read.